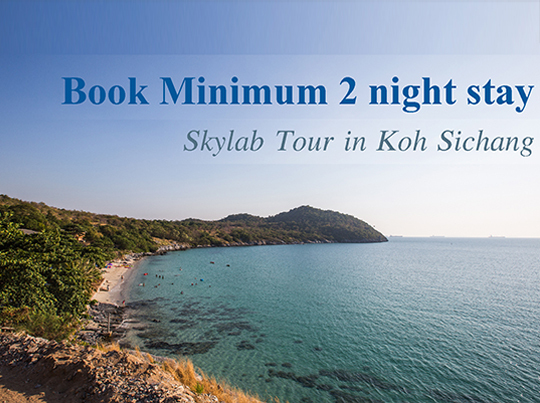 Stay 2 nights get Skylab tour in Koh Sichang! 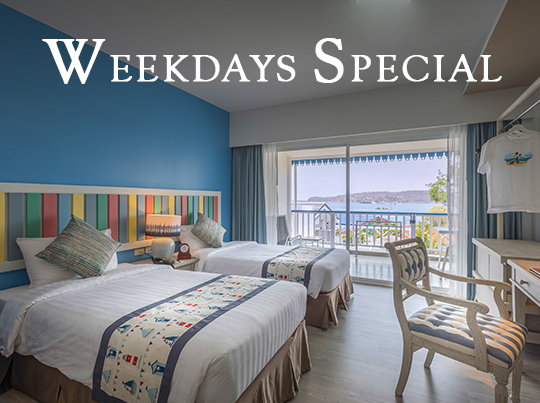 when staying longer… Book now! 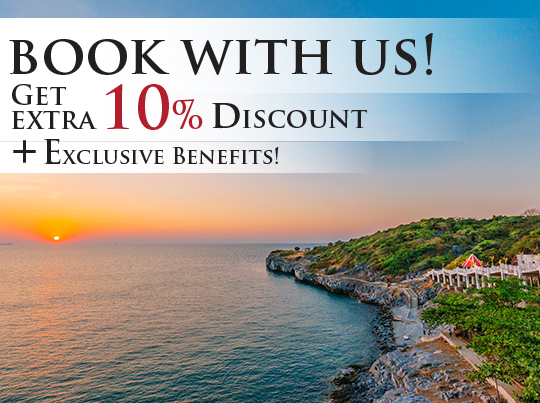 Enjoy 10%discount from any existing promotion. Complimentary daily buffet breakfast for 2.Complimentary daily buffet breakfast for 2. Complimentary Round Trip Transfer in Koh Sichang for a 3NIGHT STAY consecutive one time per stay. Advance reservation is required for Round Trip Transfer from/to Thewawong Pier and Hotel for 2 persons.